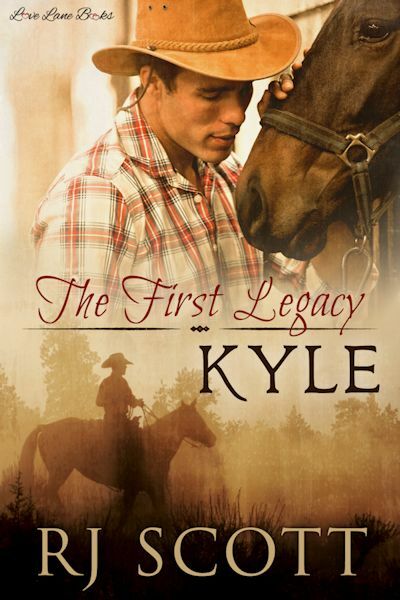 A spinoff from the Texas series, Kyle is the first in the new Legacy series. I must admit I have not read the Texas series but I didn’t find any difficulty getting up to speed with what had happened. Kyle is a broken man suffering from the after effects of abuse from his previous employer. He came under the protection of Jack who has now given him ownership for overseeing the new Legacy Centre on the Double D Ranch take fruition. He at first welcomes the solitude but worries how he can cope with such a responsibility. To add to all his stresses and his flashbacks of his dark past, a new guest arrives and it seems Jason is just as broke as he is. The story unfolds of two young men searching for a better and safer life and through their close contact they are thrown into, it becomes the first steps in them both finding how to trust again and finally let the darkness of the past stay firmly in the past. As with all RJ Scott’s characters, these two are quite complex individuals and all their hidden emotions are slowly but surely revealed to the reader. It is always a pleasure to unravel the depths of these multifaceted characters. Although the romance was slow to start it gave the reader a chance to fully understand how they were separately and then find the reward when they finally found trust and love. There is an element of the dark subject matter of abuse, anxiety and depression that is cleverly touched upon but could be a trigger for some. Overall though this was a gritty and emotional read and a great start to a new series. Might go back and read the Texas series though as Jack and Riley sound hot! Four stars.